The Kit Cart: Another Caught! Freebie!! Thanks to my wonderful creative Team member Lisa we have a wonderful freebie to coordinate with the new collection Caught! 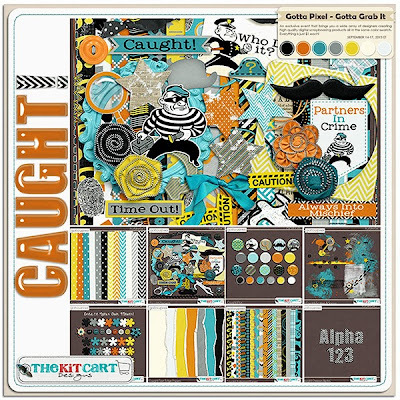 Caught is at Gotta Pixel now for the Gotta Grab It Event and each piece is just $1.00 to $1.25 now through Tuesday so be sure and stop by!! Love the kit! thank for the awesome word art! Love ,love, love this kit! Had to have it! This is awesome, thank you so much, such a fun collection!